This is a two day course designed to teach you and certify you in the use of Taser, Baton and OC Spray. 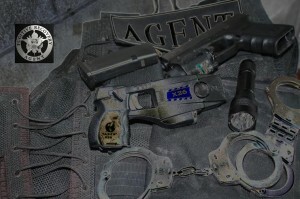 Each of these less than lethal devices require proper training and only certified users should carry these tools while working in an official capacity. Students will have the opportunity to be exposed to Taser and OC Spray, exposure is optional.